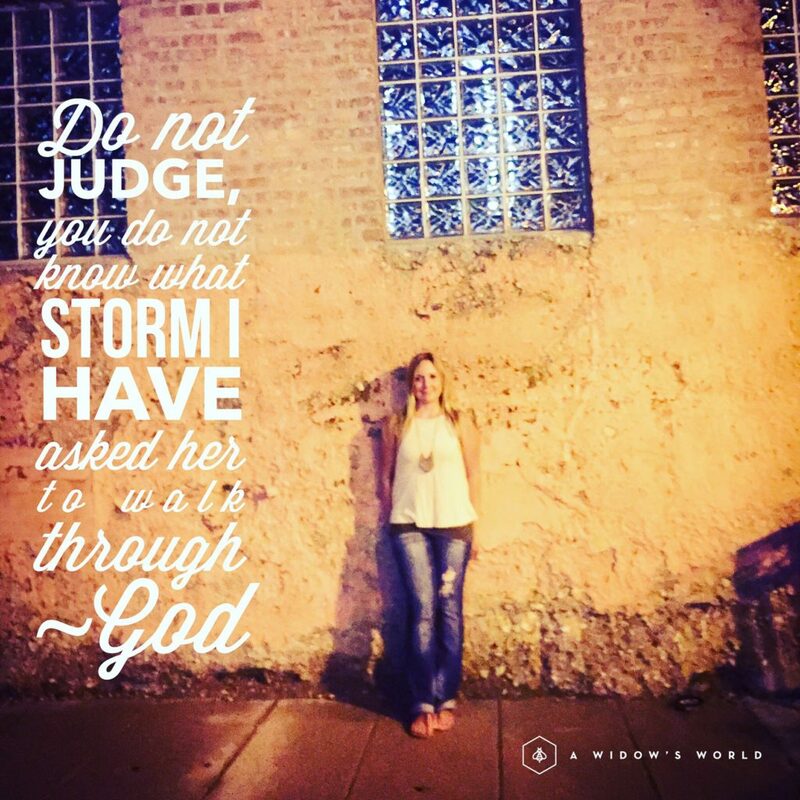 I remember hearing others judgements get back to me, after I started getting out and living life again. I however, chose to IGNORE them. I had to. It still hurt me, but I felt if people were placing judgement on me, they obviously had some issues of their own to work through. I found it unfair. How could they even begin to understand the pain I was going through? Why would they even feel the need to judge me? People can just be cruel and insecure within themselves. I’m thankful that even to this day, if people place judgement, I think brush it off because I am right with myself. I will someday face the ultimate judgement for my time here on earth and how I chose to serve God, myself and others. I sure have yet to find a perfect person in this world. I have met a small select few that have come close, but ultimately each one of us is imperfect. I am doing my best to be true to myself, and seeing that through my shortcomings I am worthy of forgiveness. Ultimately, my life experiences, my loss and my failures have lead me to my growth and the person I have always wanted to be. People don’t have to get me, because I get myself! Just like, people don’t have to get you, because you get yourself. I’m not seeking anyone’s approval, but my own! I challenge you to also do the same. I want to serve others and inspire woman and men who are going through hard times, to cut out the things in their lives that no longer serve them. I want to teach others to open up their mind to the life they want revealed and restored! The reward is always worth the risk and even if we fall or fail, we likely have learned something new and valuable about ourselves and maybe just maybe that failure lead to the best thing that was meant to be. So, today dream up what’s next for yourself, believe it and aspire to taking that first step. Remember judgement is toxic! Remove the toxic and the things that dont serve you and your purpose.